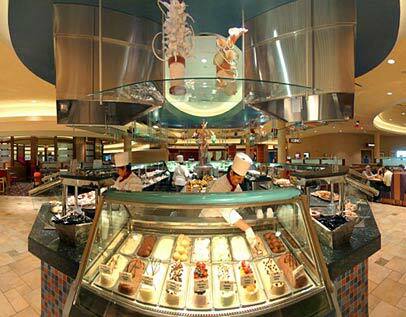 No matter what type of food you enjoy, you will find it at the Carnival World Buffet. Everything you could want and more can be found here, like Mexican, Japanese, Italian, and seafood. Open all day long and well into the evening, the Rio Buffet Las Vegas will satisfy you and any time of day or night. Many guests of the hotel who have tried the buffet have highly recommended it. Monday through Friday, 7:00 A.M to 11 A.M., 11 A.M. to 3:30 P.M., 3:30 P.M. to 10 P.M.
Saturday through Sunday, 7:30 A.M to 10:30 A.M., 10:30 A.M. to 3:30 P.M., 3:30 P.M. to 10 P.M. Type of Food: Everything from Mexican to Japanese. Dress Code: No Dress Code Enforced.